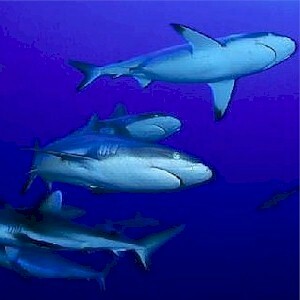 Most realize that there is safety in numbers, this especially in the animal kingdom, where they travel in groups. This because they instinctively know that when there are lots of them, predators have less of a chance of being successful during an attack. If a predator is successful, its victim is usually a sick or weaker member of the herd or pack. This is an important part of the process of natural selection, and maintains the process of survival of many species. Predators also travel in packs, as a group attack is more effective. This too ensures the survival of the species because, without the pack, some predators would literally starve to death without the “gang up” type of mentality. In the corporate world, herds and packs are replaced by boards of directors, employee teams, shareholders, and subsidiaries. These are groups of people who come together to pool their abilities in support of the agenda or goals of the corporation. In essence, this ensures the future success of the business. In the immense corporate world, failing companies are often absorbed by larger more successful ones in mergers and acquisitions. Rarely does a large company just “go out of business” or become extinct. They are usually simply bought out by a large company. In the business world, the sole entrepreneur is the animal who has wandered away from the herd. Sometimes it happens because of unemployment, but often it’s because they have a desire to be independent from the politics of the corporation, or simply to be self-sufficient. Fortunately, for these small business owners, a community exists where they can count on others to help them to be successful. It’s the community of business-to-business networking. Not all small business owners are aware of the opportunities of success involved in business networking, as the number of those who do so are estimated to be less than 10% percent of all businesses. This is unfortunate because not only is there a great deal of opportunity for acquiring more new business in the networking environment, there are also methods of learning to be more successful, and to be a bit safer in the corporate world. In the business world at large, predators exist. Corporations have learned that a part of doing business is putting measures of security into place through patents, copyrights, server firewalls, policies, and a myriad of other functions. In the environment of a small business, we often are not even aware of the threats and if we are, rarely do we have the means within our budget to protect ourselves against them. For instance, most have done work for someone who’s refused to or simply won’t pay you. If you’ve never had this experience, then credit that to good luck. On the other hand, maybe you have not been in business long enough, so this unfortunate experience may be looming on the horizon. In any case, when this does happen to you, what will you do? Most will tend to accept it and move on, bad debts. Some cases may involve inventory that you can write off as a loss, others involve intellectual property where there’s no monetary resolution. The sad reality is that often, there’s no justice for you, no satisfaction, and ultimately no payment. When one opens their small business, they do so with enthusiasm. To maintain the daily pressures of meeting expenses requires a great deal of positive mental attitude. It means that when times are tough, you need to forge ahead in order to survive. This world of positive attitude dictates that we eliminate negative thoughts, so that we can remain focused on our goals. In fact, as communities of small business owners develop, it’s almost an unspoken rule that negativity be eliminated from conversation on every level. After all, you would not want to admit to a prospective client that things are not going well, and you are going to close your doors if you don’t close this deal. In the same vein, as the predator attacks the small business owner and feeds on them, the entrepreneur is reluctant to talk about this negative experience. In some cases, the predator is working within the peer group of the victim. As the predator continues to feed, several members of the group may have fallen victim, but because of the fear of reprisal among the group for saying negative things about another “nice” member of the group, they remain silent. They’re afraid that if they say anything bad about the predator, that they themselves will be viewed in a negative way. People are afraid of being accused of slandering another. They are afraid that no one will believe that this person has really done what they are accused of, and that it will further damage their own reputation if they become too vocal. As long as the predator is allowed to continue to function in a group, they will continue to do harm to individuals within the group. After they have victimized a good portion of the group, they simply move on. So how can we change this, how can we stop it? Is it just a question of taking responsibility to protect the others. Does it have to be a matter of risking our own reputation to try to protect our peers. Until we change the paradigm of responsibility and belief, the predator will continue on, business as usual. Until we can find it acceptable to hear the honest truth about someone who appears to be a “nice” person, the predator will continue to thrive in our midst. There are safety in numbers unless we have blinders on. Without the ability to voice the experiences we have without tainting our own reputation, we will continue to suffer our losses. Read Reviews On... Find and read anything that interests you. What we provide are complete and accurate informative reviews and information of current topics and relevant news. Copyright Copyright © 2016 reviewon.com. All rights reserved. All product names and trademarks are the property of their respective owners. There are no guarantees on the advice offered on this site, or by its staff or users. All comments and/or postings are not the responsibility of reviewon.com.